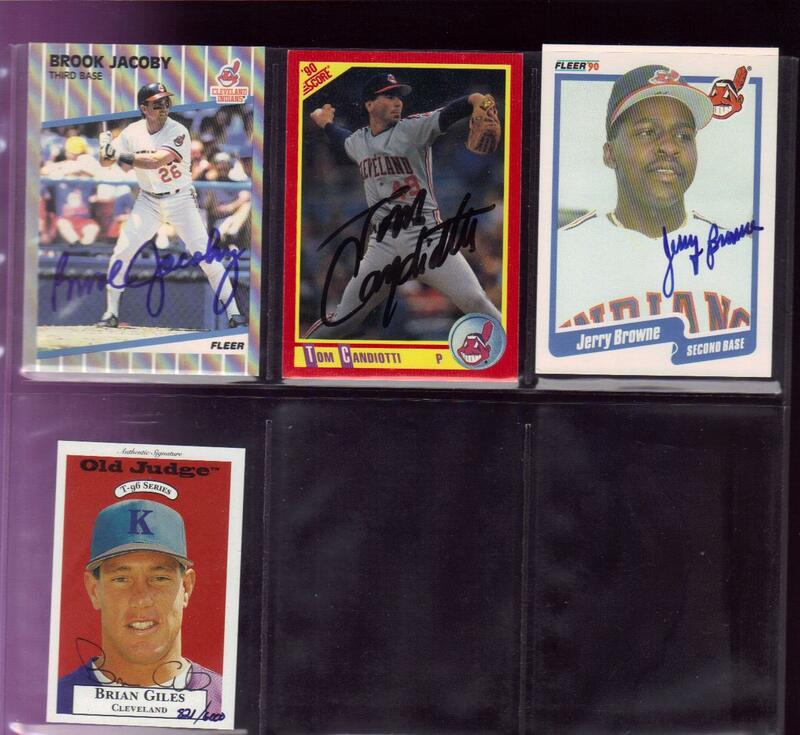 Is it "mojo" when you acquire autographed cards that you are not 100% sure whether or not the autograph is legit? Sure, why not! Besides, I know at least *one* is certified real. 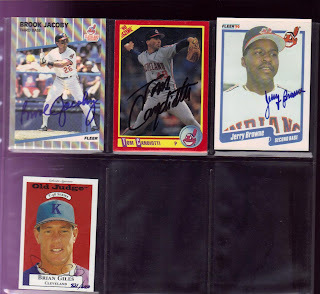 These cards were most likely a part of an Indians lot (or lots) that I bought at one time or another. I do not collect autographs, generally*, and the unverified autos actually appear twice in my database: once as an 'auto' and once as their un-auto'ed counterpart. If memory serves, these are the *only* cards to appear as "doubles" in my collection. The Old Judge Giles is a great card from before Brian became "Brian Giles" the player on the hot list of his heydays (late 90's early 2k's). I think it was probably one of my first authenticated autographs. I kept it because I got it when he was an Indians player, even though he was not in a Tribe uni. I guess sometimes, I appear to know what I'm doing. *On autographs - I am about to launch something of an experiment in TTM. Just keep reading. I'll probably start this coming weekend and see how it goes.